12 Am I Wasting My Time? 13 Don't You Remember, Baby? 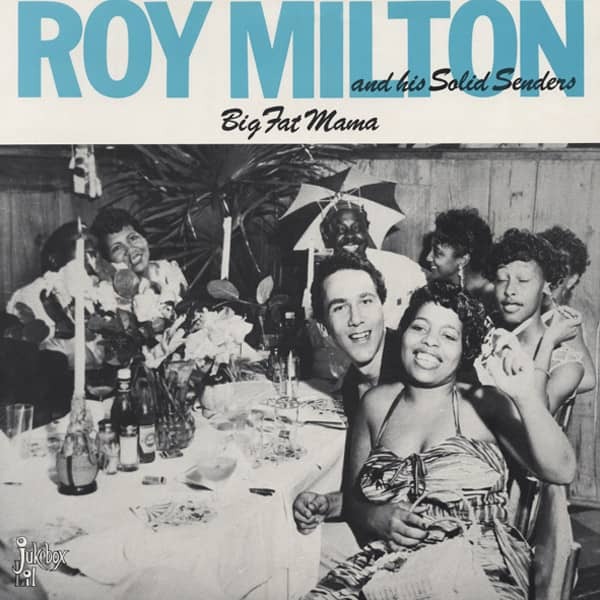 Roy Milton, a drummer and vocalist from Wynnewood, Oklahoma, moved to Los Angeles where he and his group, the Solid Senders — Ben Waters (tenor sax), John Kelson (alto), Arthur Walker (trumpet), Camille Howard (piano), Johnny Rodgers (guitar) and Dallas Bartley (drums) —monopolized the R&B charts through 1946 to 1952 with a series of gutty and repetitive jazz-based blues. His Top Ten hits included `RM Blues' and 'Milton Boogie' (on Jukebox in 1946) and 'True Blues', 'Thrill Me', 'The Hucklebuck', `Oh Baby', 'T-Town Twist' and `So Tired' on Specialty. As city blues waned in popularity, Milton recorded less successfully for Cenco, Warwick, Thunderbird and Kent. Customer evaluation for "Big Fat Mama (1945-54)"